This 6 bedroom 5 bathroom home is located on the community of Solana and will comfortably sleep up to 12 guests. 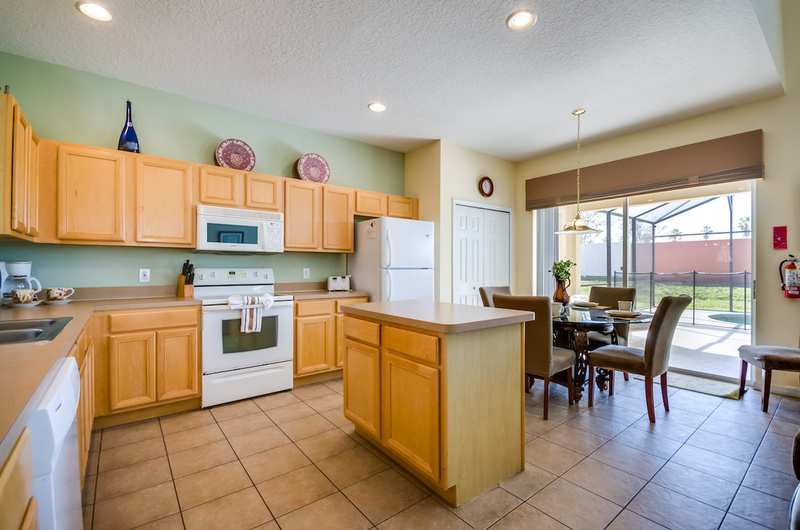 The fully equipped kitchen has a breakfast nook and overlooks the sliding doors that lead out onto the pool deck. The villa has two sitting areas, one has a large flat screen television and the other overlooks the main dining table that seats six guests. The bedrooms consist of one king room, three queen rooms and two twins. There is a pool table in the villa and internet for guests to use throughout the home. Outside you will find your own south facing pool, spa and large sundeck that features a furnished lanai. Solana is a gated resort style community located approximately 3 miles south of the US 192 on the US 27. 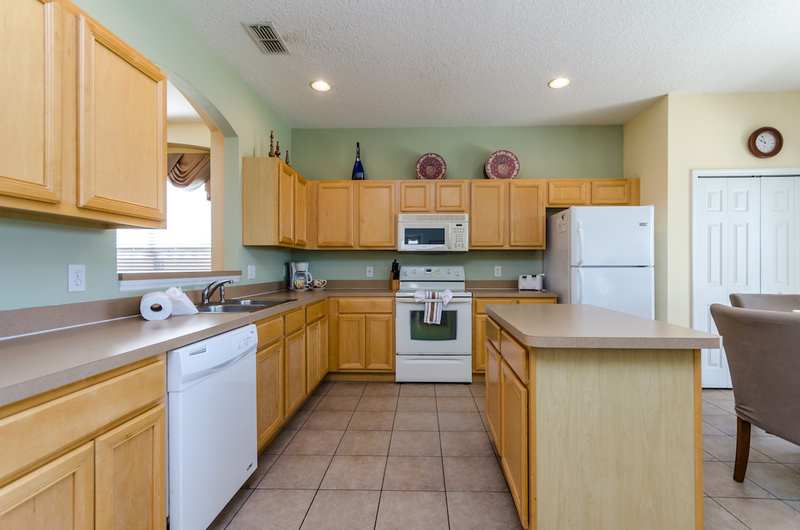 The resort is conveniently located just 15 minutes from Walt Disney World and close by to the Interstate 4 which is the main corridor through central Florida. Guests have exclusive use of a 4,000 square foot clubhouse with a lounge area equipped with wireless internet access, a sundry store and fitness room. Outside there is a lavish pool area with childrens water feature, Jacuzzi, a poolside snack bar, a putting green, volleyball court and soccer field. 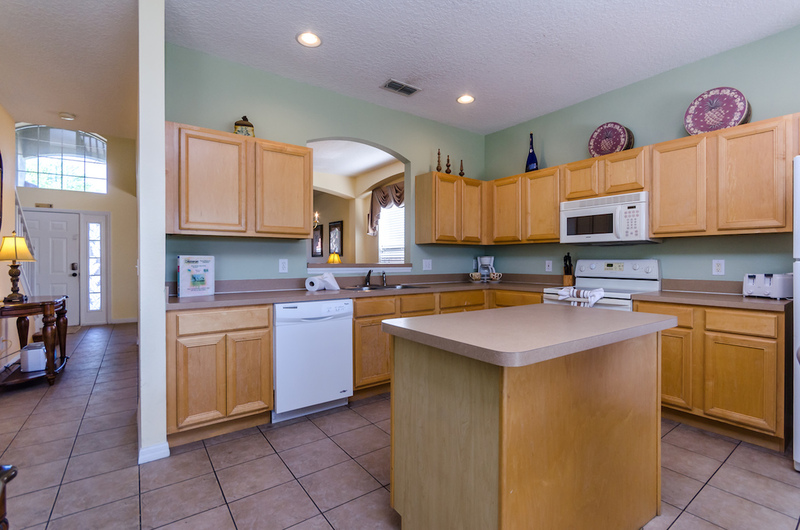 Within a few minutes drive you will have access to many executive golf courses, the nearest two being Highlands Reserve and ChampionsGate, plus many restaurants and supermarkets.